A hot moist washcloth with a drop of lavender essential oil is an easy and effective at-home remedy for easing sinus pain and pressure, headaches, and congestion. Well, it’s happened. After keeping from getting sick for well over a week now, my immune system gave in and I got a nasty cold. I’m sure part of it is due the fact my daughter’s been coughing and congested all week, but I also think another factor is the bone dry air in my home. As I discussed in a previous post, being inside with the heat running all the time dries out our nasal and sinus passages, making us more susceptible to getting sick. So, if you notice that you or your loved ones are having allergy issues or keep coming down with infections, such as colds, the flu, sinusitis, earaches, or other ENT problems, you’ll need to reintroduce moisture back into your system. Otherwise, you may get into a never ending cycle of being sick if you don’t get at one of the potential root causes of the problem — dryness. So, I wanted to share with you some products and at-home remedies that are helpful for soothing and re-moisturizing the ol’ nasal, sinus, and bronchial passages. Some are also helpful for preventing allergies and infections from taking hold. Let me know which ones you’ve tried or found particularly helpful. Got sinus pain and pressure? A bad headache? Congested? Placing a hot, moist wash cloth on your face several times a day will get things circulating again and bring some soothing relief. Try adding a drop of lavender essential oil to the washcloth, especially when insomnia or headaches are involved. It’s truly relaxing and a great remedy if you’re in need of a little extra TLC. Breathing in steam, whether it’s in the shower, over a pot of hot water, or by using a handheld steam inhaler is a simple tried-and-true remedy that I always turn to when a family member is congested or has an infection. It helps unclog nasal and sinus passages and soothe bronchial passages, letting you remember what it feels like to breathe again without discomfort. With the addition of antiseptic essential oils, such as eucalyptus, steaming helps your body fight off infections, such as bronchitis or sinusitis. (A huge plus considering how resistant many antibiotics are these days!) 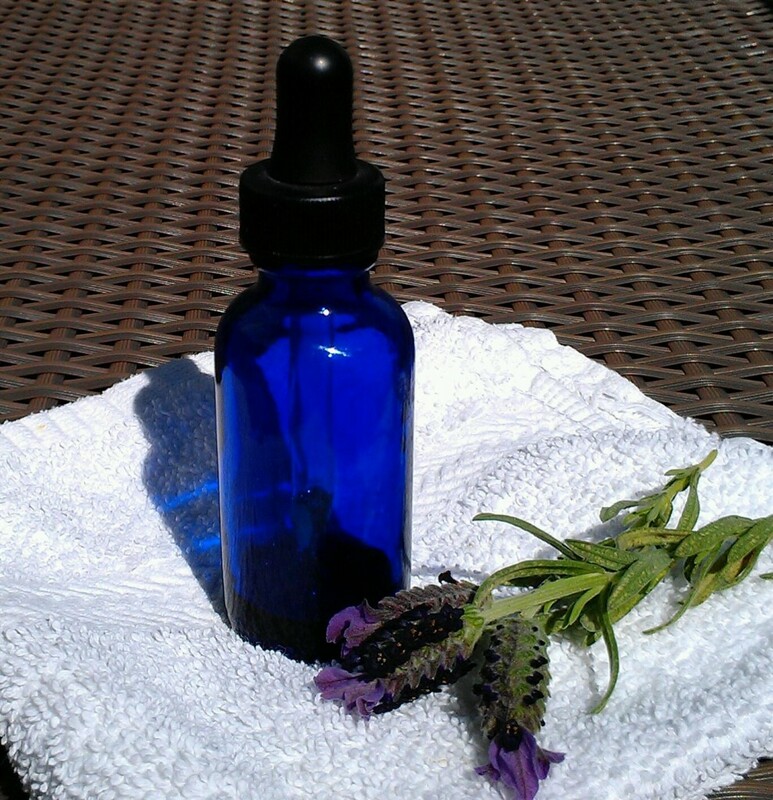 Simply add a couple drops of essential oil to a wash cloth and place it on the floor of a hot, steamy shower. Or, add some to a pot of hot water as described in this post. Regardless of which method you choose, steaming 2 – 3 times a day helps get things moving. Years ago when I heard about how neti pots can help with recurrent sinus infections and allergy issues, I remember wondering if they’d really work for me. I had gotten tired of using prescribed nasal decongestants and sprays, because they just didn’t seem to work. I’d get “better” and then sick again. So, you can imagine how pleased I was when I found out how cleansing my nasal and sinus passages with a simple saline and water solution kept my sinus problems at bay! As a result, this natural remedy became a part of my health and wellness regimen, especially during times of the year when pollen counts were high or viruses were prevalent. So, I really recommend that you give it a try if you suffer from similar problems. By the way, most ENT doctors are on board with using neti pots for treating chronic sinus problems, but there is some dispute about using them to treat an acute condition as this review study published in Current Allergy and Asthma Reports discusses. Unlike over-the-counter decongestant nasal sprays that can only be used for a short period of time because they may do more harm than good (such as being addictive), saline nasal products are a safe, natural remedy that you can use several times a day. They help loosen mucous and clear away allergens, viruses, and bacteria, thereby preventing respiratory infections and allergies. Coming in at under $3 – 5 per bottle and available in a variety of delivery forms (e.g., sprays, mists, drops, foam), they’re an inexpensive and effective option for babies, children, and adults. Nasya is a simple holistic remedy used in Ayurveda, an ancient holistic health system that originated in India, that involves the application of nasya oil to the nasal passages. I liken the idea of nasya to lotion for your skin. Just as lotion soothes dry, irritated skin, nasya soothes red, irritated, and dried out nasal tissues. As a result, your nose is able to function properly and sweep away allergens, viruses, etc. It might sound strange, but it really works wonders! And it’s not at all complicated. Use a few drops or sprays of a commercial naysa oil product in each nostril or simply apply organic sesame oil to the inside of your nostrils using your pinky finger. Tip: Make sure your hands are clean and your fingernails are trimmed. Congestion or coughing keeping you up at night? A humidifier is a great way to re-introduce moisture into a room and thereby bring some relief to the respiratory system. Cool steam ones are perfect for children’s rooms and I especially like models that have enough water capacity to last throughout the night. Disclosure Note: Please note that inclusion of particular brand photos does not entail my personal endorsement of the product unless I say so specifically. Photos are for illustrative and educational purposes only. Many of them link to Amazon, which I have an affiliate account with. Achilles, N. et. al. “Nasal Saline Irrigations for the Symptoms of Acute and Chronic Rhinosinusitis.” Current Allergy and Asthma Reports 13.2 (2013): 229-35. National Center for Biotechnology Information. U.S. National Library of Medicine. Web. 02 Mar. 2015. Illiades, Chris, MD. “Nose Sprays: A Bit of Relief for Sinus Problems.”EverydayHealth.com. Ed. Pat F. Bass III. N.p., 22 Mar. 2010. Web. 21 Feb. 2015. “Your Nose: The Ultimate Air Cleaner | Allergy and Asthma Network Mothers of Asthmatics.”Allergy and Asthma Network Mothers of Asthmatics RSS. N.p., 4 Feb. 2009. Web. 21 Feb. 2015. Copyright © Karen Peltier and Well Gal, 2012-2018. All rights reserved. Photo © Karen Peltier and Well Gal, 2012-2018. A hot washcloth with lavender several times a day sounds very relaxing and definitely worth a try. Now that spring is here, I feel my allergies already starting to kick up. Thanks for all the helpful tips. Thanks for stopping by. I hope you find the hot washcloth with lavender helpful for your allergies! Let me know if you find some relief. I guess it is that time of year again. I have already started to experience symptoms. I have never heard about using Aromatherapy Vaporizers, that sounds like something I would definitely like to try. I appreciate your helpful post. If you get a chance to try an aromatherapy vaporizer, let me know how you like it. I’ve always found mine helpful (I have 3!) and use them throughout the year for various reasons. I always seem to have irritated sinuses during the winter, and I have used several of these methods to soothe them. I have heard that it is good to inhale steam from a hot shower, but I am really excited to try the room humidifier that you mention! It seems like a great alternative to provide hot steam. Great read. Thanks for stopping by and leaving a comment. I haven’t used sitopaladi powder or churna, which I understand is an Ayurvedic remedy. Have you found it to be useful for other respiratory symptoms as well? Karen, thanks so much for sharing these extremely helpful tips! the saline nasal product suggestion. But I must say (as usual!) you’ve certainly opened my eyes to some more viable alternatives available to us! And these types of tips are always good to know! I definitely think the next time the need arises, I’ll give your washcloth suggestion an honest try! Thanks as always, for keeping us so well informed, on what our true alternative options are! Mark recently posted…How Top Local Businesses Rock Email Marketing Without Relying On Their Websites To Do So! Thanks for stopping. I’m so glad you found the tips useful! And yes, the next time the need arises, give the washcloth idea a try. It really does work wonders at easing congestion and soothing headaches. Plus, it’s so easy to do, whether your at home or on travel. Thanks for sharing all those remedies. Some of my preferred are included in your list as well! You’re most welcome. Good to hear you’ve used some of the remedies to bring a little relief to irritated nasal, sinus, and bronchial passages. Hi Karen, when one of my children was a baby and toddler, none of would’ve got any sleep if I didn’t have a vapouriser in her room. She used to get asthma and the vapouriser helped her to breathe. I agree about having moisture in the house – I would hate having to be inside during the winter, with central heating on all the time. I’m so glad to hear that a vaporizer brought your child some relief from her asthma and made breathing easier. Amazing what a little more moisture in the air can do, huh? I found having a vaporizer in the room indispensable when my kids were younger as well. I always used them when they had a cold and it always seemed to help. Hello Karen, What a great post, I also use e lavender oil all the time but never thought about using it on a warm wash cloth. My poor little grandson could really of used this kind of relief this past winter. I am calling my daughter in law right now to let her know..
Do try the lavender essential oil on a warm moist washcloth. It is truly heavenly and relaxing even if you aren’t sick. Sort of like being in a steam room at the spa. Also, I’m glad to hear that some of the remedies might be of help to your grandson. Hopefully, he’s doing better now that spring is here. Thanks for these wonderful alternative tips. I use lavender oil all the time and it works wonders. I especially like the aroma therapy humidifier…sounds better than a regular one to me. I used to have very bad sinus issues before Acupuncture and used a neti pot that worked wonders. Thank goodness I don’t have it so strong now. Your tips are amazing, Thank you! The aromatherapy essential oil vaporizers really are nice and work so well for so many other therapeutic uses (e.g., distilling a calming essential oil like lavender to help with insomnia) that I highly recommend getting one. I’m glad to hear that acupuncture and a neti pot worked well for your sinus issues. Would you say the acunpuncture cured you? If so, how many treatments did it take?